Oh how I've missed these challenges! 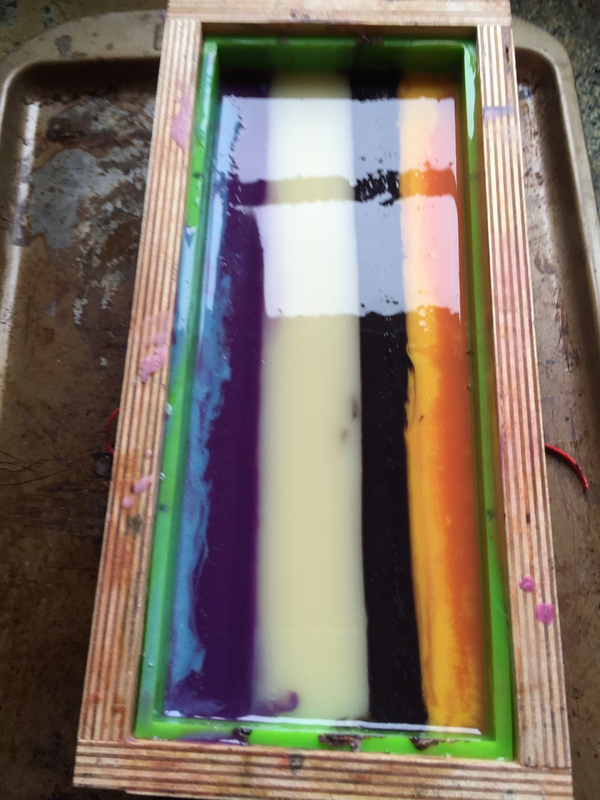 Since I've gone back to work, I've had no time to make soap, but I was determined to participate this time nonetheless. 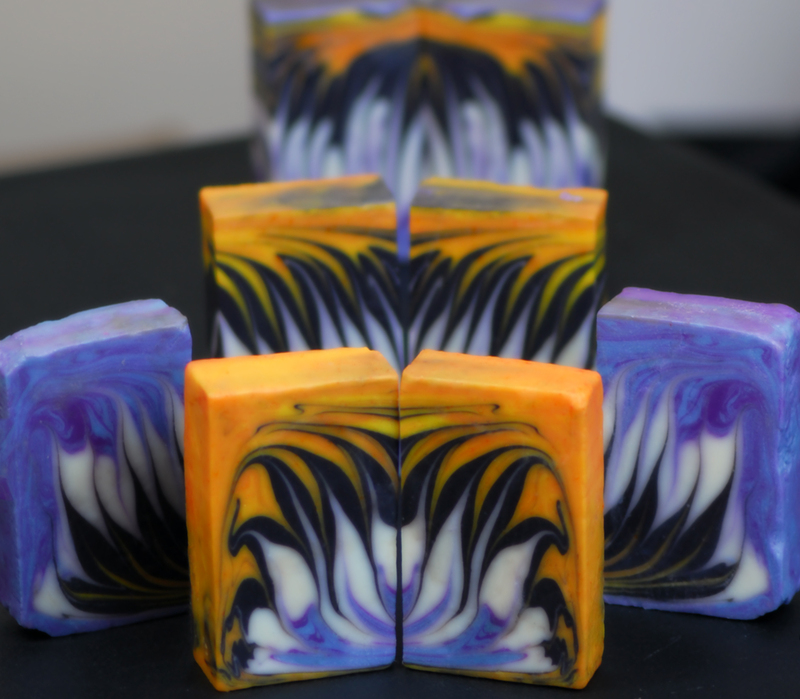 My Circling Taiwan Swirl entry was inspired by the Monarch Butterfly. We were limited to exactly 3 dividers, so I had to swirl the orange/yellow and purple/blue into their sections, which was a bit of a challenge. I used foam core for my dividers with rubber bands to keep them from floating up and away when I poured. Lesson learned the hard way! Pulling them out is such a mess! I tried taking them out one at a tine, slowly, scraping off the excess, making a bar of it, etc., but in the end a quick yank of the whole thing over into the sink worked best. I purposely varied my swirl as my previous attempts looked too robotic, and I was going for a more natural pattern. I did another little swirl just on the top, as I knew it wouldn't show in the final version. Turns out this was my favorite part of it! The part I struggled the most with shows quite clearly, as I couldn't seem to cut these straight. I really envy Amy's ability to just wipe out her knife and slice then perfectly -- what gives? I've tried a ruler, various knives, my wire cutter, etc., in previous challenges, but I'm just terrible at it. 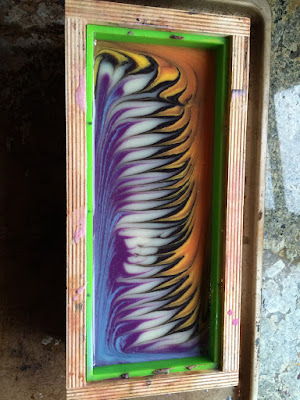 I'm really looking forward to Tatsiana's upcoming round soap tutorial, as I'm hoping it includes making her fabulous multi-purpose soap cutter which would probably help. 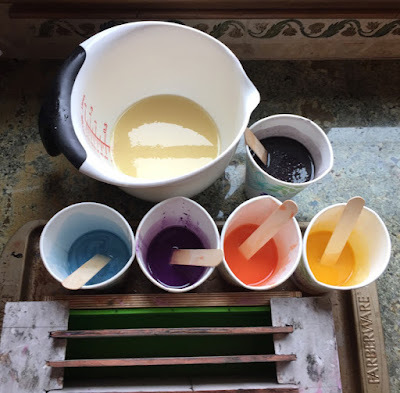 This is the point where I usually list my colors, recipes, etc., but it's Friday night and the challenge closes in the morning, so this will have to do. I love your colors! Great idea to swirl two together. I've missed seeing your posts on the challenges - welcome back!! Nice to have you back, Claudia! Can't have an entry without purple in it! Love how you managed it! 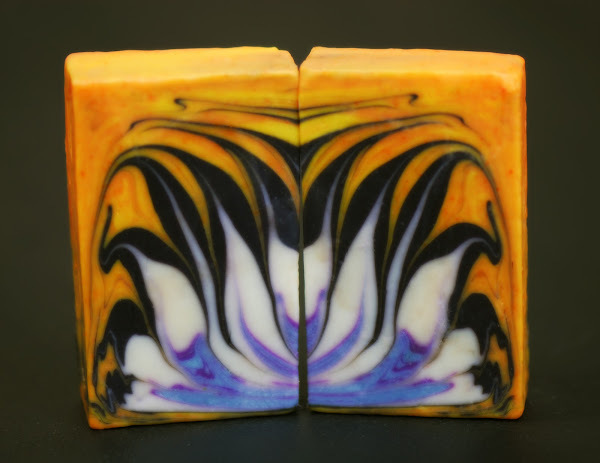 Really gorgeous soap! 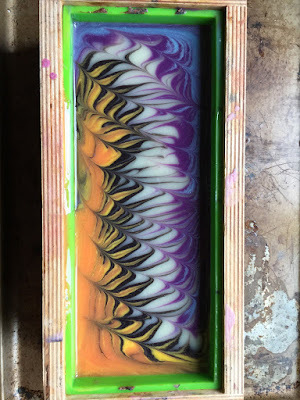 Really fun colors and swirl design. 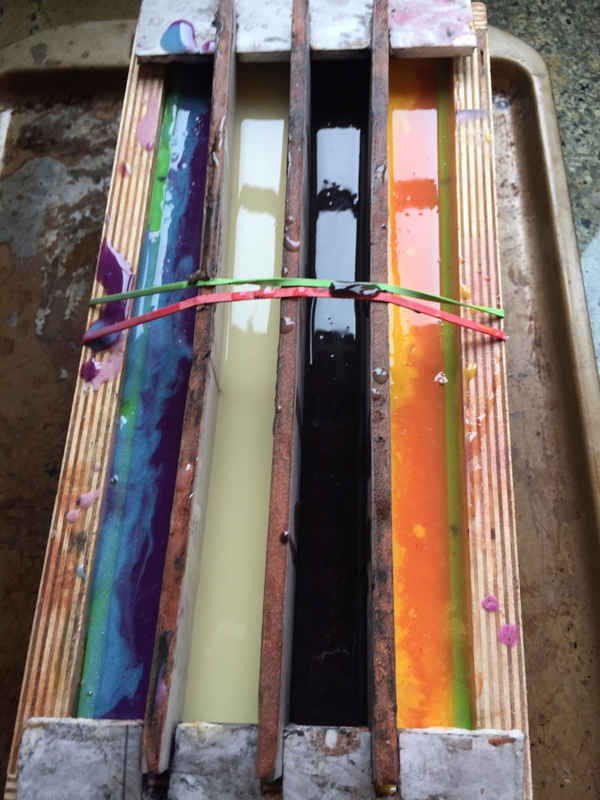 Maybe we can get a soap cutting tutorial, as I have the same problem!! I could not wait to see another one of your soaps, Claudia. Your colours are always so vibrant! 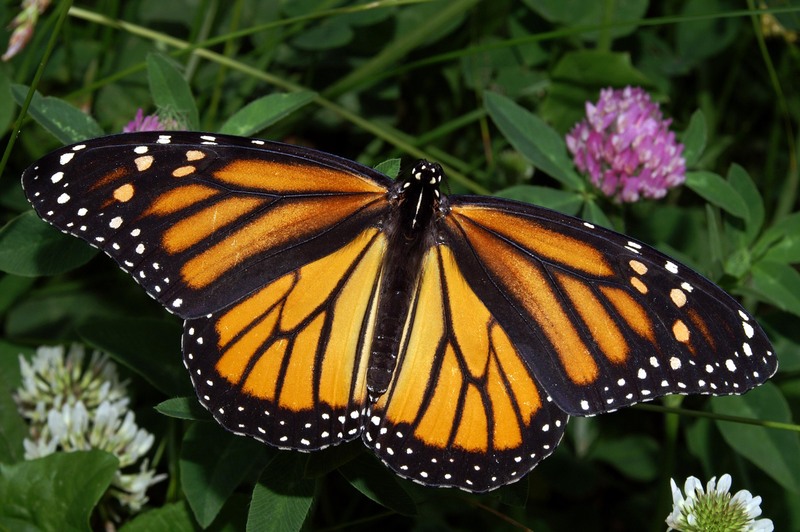 This combination is striking, and you really managed to make it look like the Monarch! Waouhh! Thanks, everyone! Looking back on it, the in-process photos are such a mess that I can't believe I posted them -- LOL! There are so many gorgeous entries, and I've learned so much from all of you -- thank you again!